Included for no other reason than it happens to be one of my all-time favourite sleeve designs, graced with an artwork from none other than Russell Mills [http://www.russellmills.com/], who is identified with the Eno/Sylvian end of the musical spectrum more often than not, I’d say. 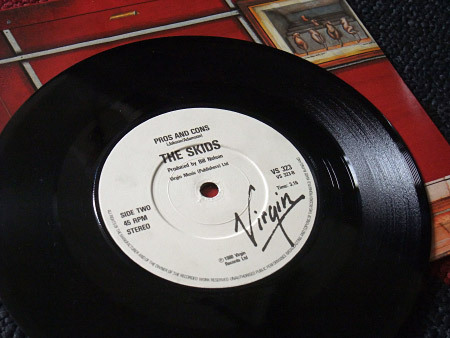 Ironically though, the reason for this single release was the remixed and repackaged 1980 re-release of ‘Days in Europa’ (touched on in an earlier blog post here) – this was the single that preceded it. 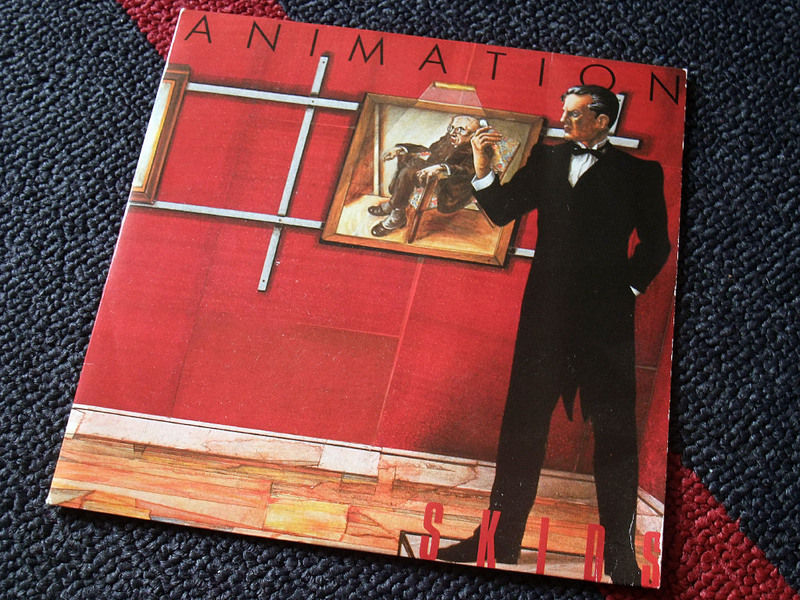 The version of ‘Animation’ is shorter than the original 1979 album mix, due to an earlier fade-out, though otherwise not much different. 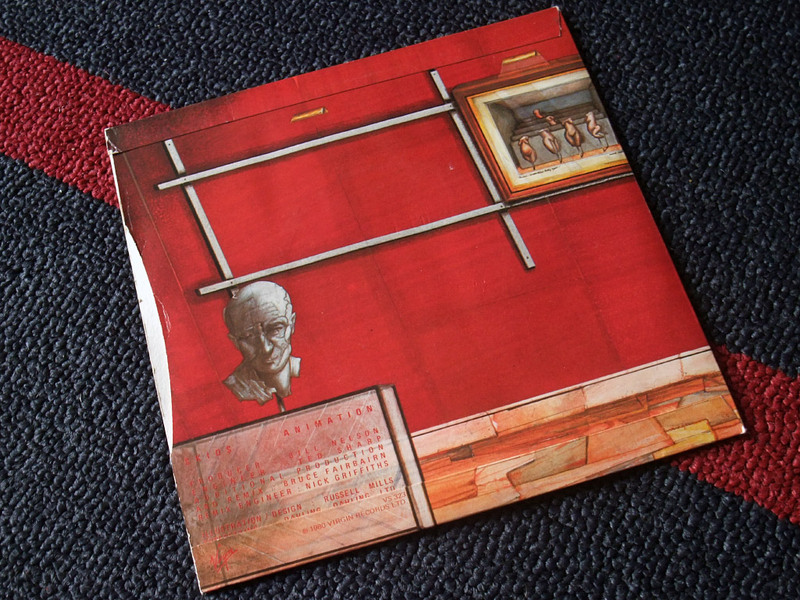 Meanwhile, the surgery that was meted out on the re-issue LP saw ‘Pros and Cons’ excised from the running order – criminally, in my opinion – to make way for ‘Masquerade’ so, ‘Pros and Cons’ ends up being the B side here. Sadly, the magnificent ‘Animation’ stiffed as far as the charts went, stalling at number 56 on the UK hit parade, bringing to an end the run of top 40 UK singles that had seen them score hit after hit from ‘Into The Valley’ through to the preceding ‘Working For The Yankee Dollar’. This entry was posted on Sunday, May 27th, 2012 at 7:49 pm	and is filed under Design crazy, General. You can follow any responses to this entry through the RSS 2.0 feed. You can skip to the end and leave a response. Pinging is currently not allowed. I remember the heady days when it was nothing to have your favorite band issue 2 albums a year. I blame the record industry for throttling that pace. The proliferation of superstar “event” albums with single after single peeled from them in the late 70s [think Fleetwood Mac] was a sea change and the industry re-jigged itself to work at a different pace. 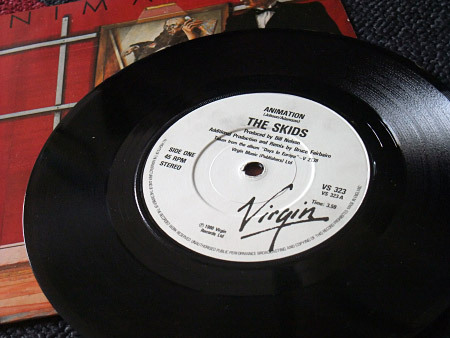 I recall how through the mid-70s groups having one hit single per album with two albums per year common. Going back further, in the late 60s, three albums a year wasn’t unheard of. Unfortunately, it transpired that big money could be made from rock music in the seventies and the stakes grew correspondingly higher. Labels became more meticulous and conservative in their promotional campaigns and this kind of prolificacy was a sure fire way to lose status at ones label. As for The Skids, I am grievously remiss in having the tiniest smattering of them in the Record Cell, much to my chagrin.